February | 2014 | Crappy Kitchen - Good Dinners! Since being confined to my house, because of this…. I have been cooking big pots of soup, which are made from things that I have, not from things that I planned on having for soup-making. 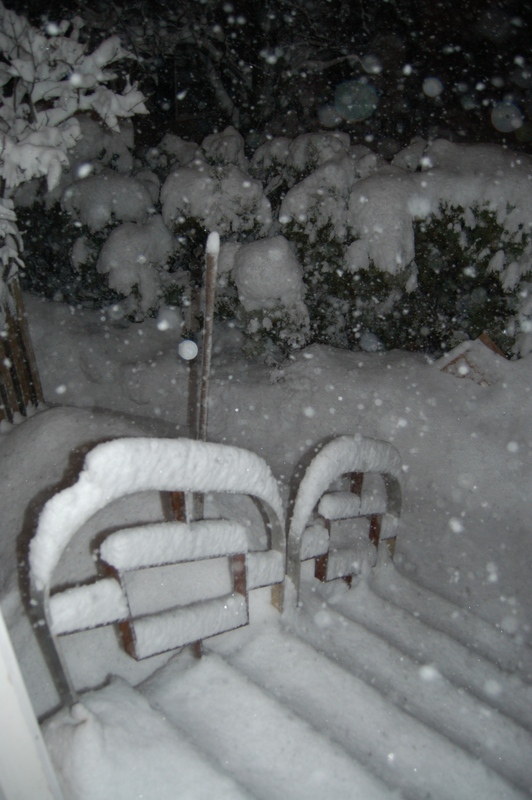 I have been too lazy to dig my car out from under the big white powdery blanket it is now wrapped in, (and the blanket has gotten thicker by the day!) 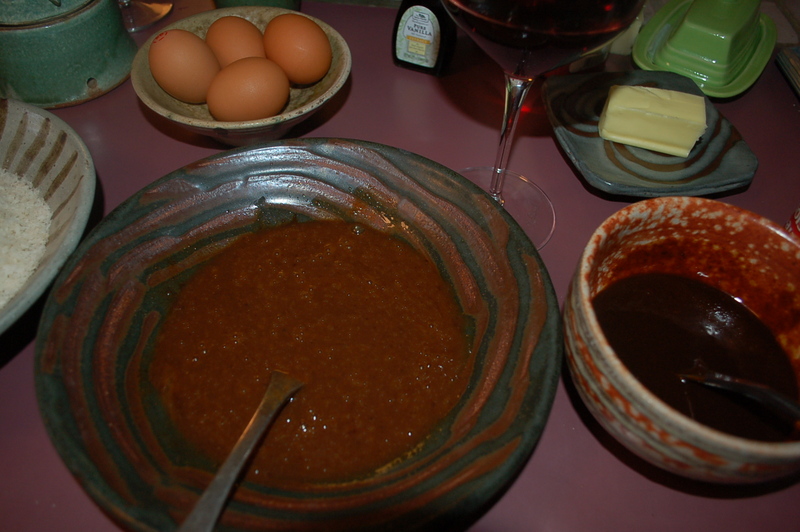 and so have been making soup from what my kitchen has to offer up – and for the moment, quite good stuff actually! My soups tend to veer towards the brothy/Asian side, which are chock full of everything to round out an entire meal; protein, veggies and carbs. I do like a blended, creamy style soup occasionally, but it doesn’t satisfy me if it’s going to be my dinner. This Dragon Soup has EVERYTHING that is great about soup and it was slurped up while we watched the snow slowly bury our house. A bag or two of these egg noodles is always a good thing to keep in stock. They came in handy for this dish. Of course this soup works equally well with a cup of rice added to each bowlful, but there was something so gratifying about winding the long strands around my chopsticks before inhaling them. 1 – Put soup pot on medium heat and add 1 1/2 tbs olive oil. Add the onions and garlic and cook for about 3 minutes. Add the mushrooms and continue to cook for another couple of minutes. Turn the heat up a bit and add the thinly sliced chicken and cook, stirring frequently, until it turns white all over (about 3 minutes). Add the broth, cilantro, carrot, salt, pepper and pepper flakes (if using) to the pot and bring to a boil. Turn down pot to a simmer and cover and cook for 5 minutes. 2 – Add the chard and continue to cook for another 8 to 10 minute. Taste for additional seasoning and adjust if necessary. 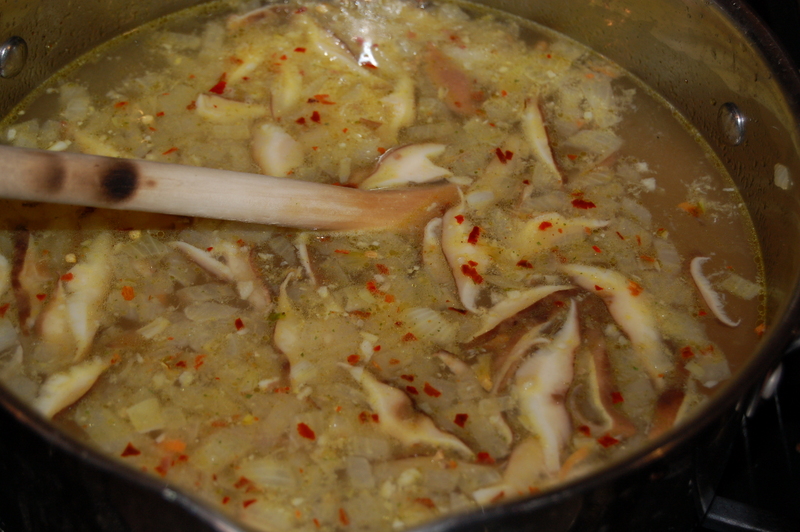 Add the lime juice and let the soup sit for about 10 minutes to let the flavors meld. 3 – While the soup is sitting, cook your egg noodles according to instructions. Drain and add a serving to each soup bowl. Ladle soup over noodles and garnish with some chopped scallion and serve! 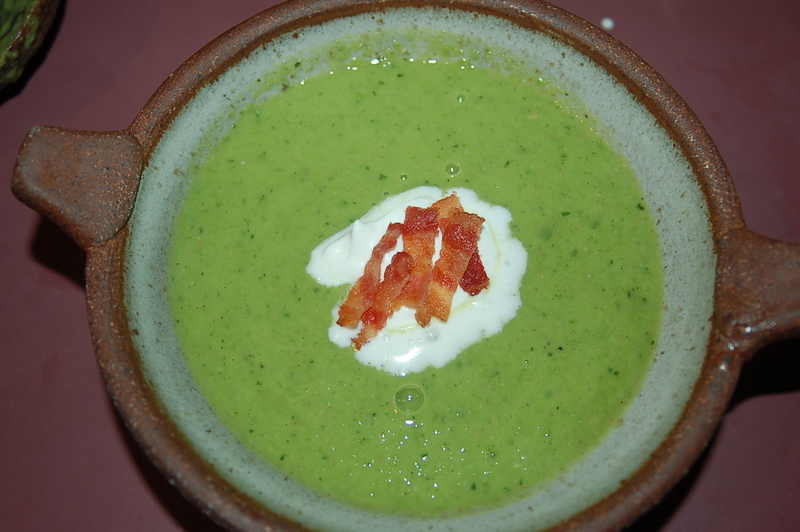 This is a fantastic soup that looks so impressive in the bowl; so silky smooth and bright grassy green in color. We had this yesterday and it was a welcomed comfort in the midst of this miserably icy and cold winter. Simply a lovely bowl of soup – and so quick and easy to make! 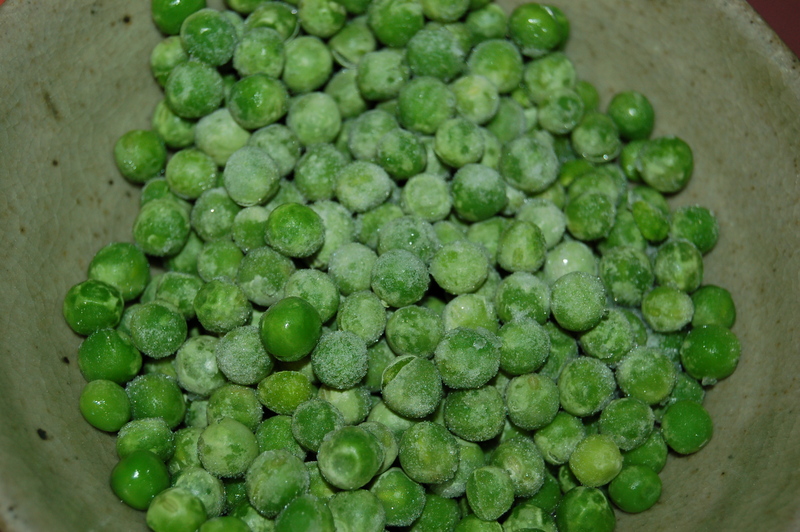 I always have a bag or two of frozen peas in my freezer. They are great in emergencies and are quick and convenient. I have absolutely nothing against good quality frozen veggies and they were the reason for this wondrously good soup. A bag of frozen peas is a handy frozen pantry item! 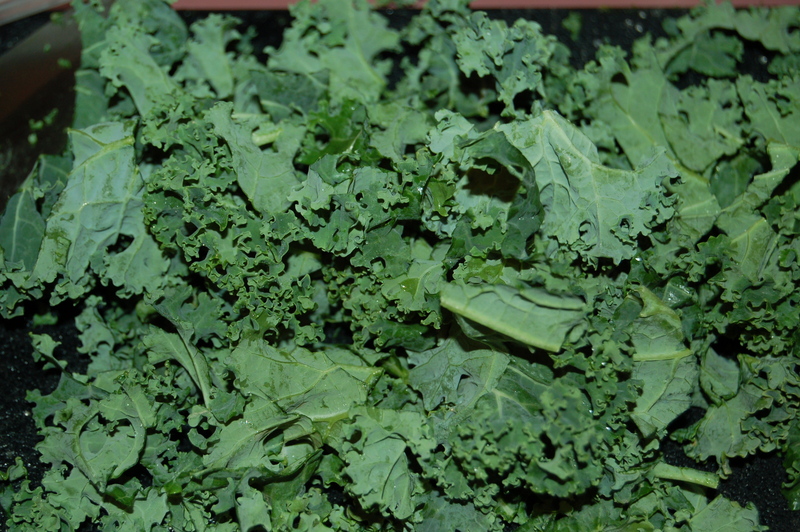 The other great green that keeps forever is kale. I know lots of people who think they “hate” it, or are afraid to cook it, and it is such a shame. 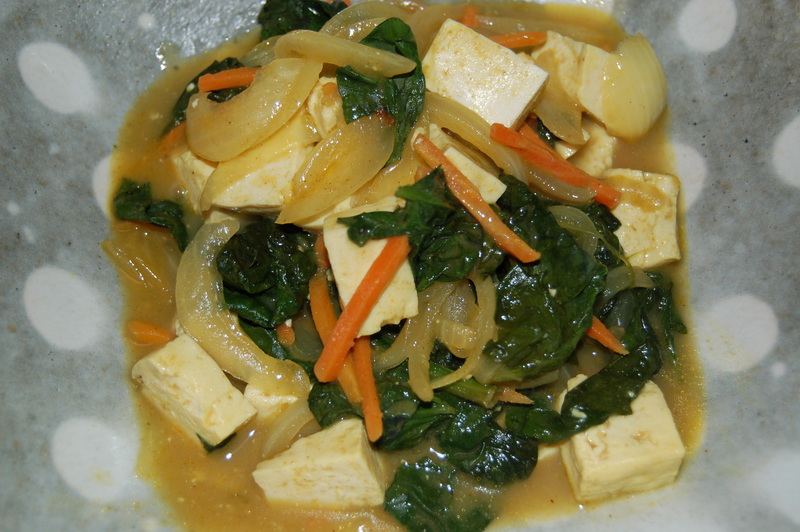 It is so good for you and in a soup like this you can convert the pickiest or most cantankerous of eaters! Buy some peas and kale and see if you don’t fall in love with this Spring-y soup. 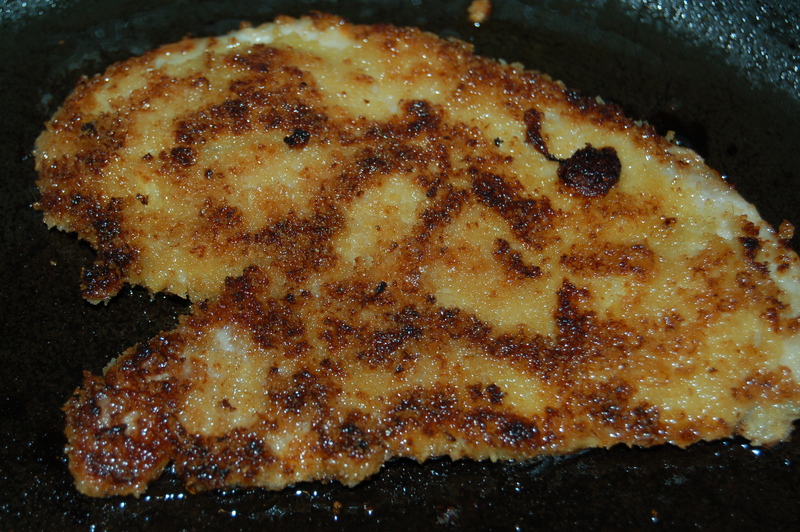 1 – Fry bacon, chop roughly and set aside. 2 – Put medium pot on medium heat and add the oil. Add the onions and saute for about 7 to 8 minutes, stirring frequently. 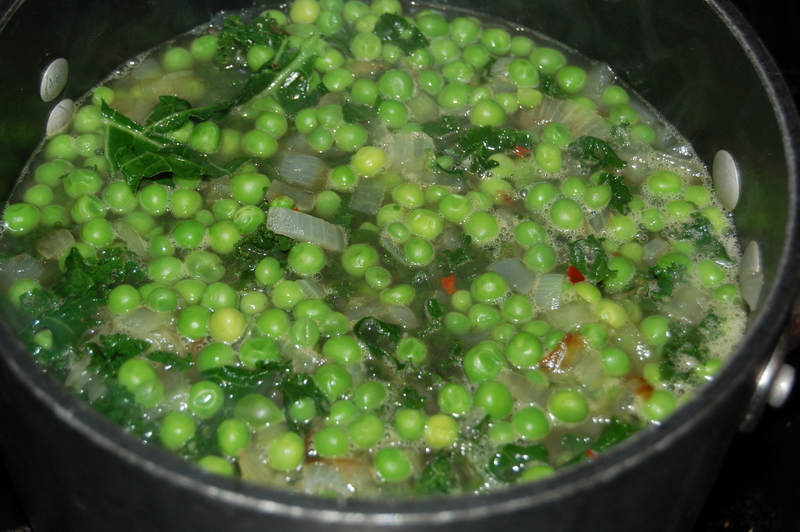 3 – Add the broth and kale and bring to a boil. Turn heat down and add the pepper and chili flakes (if using). Cover and simmer for 3 minutes before adding the peas. 4 – Cook at a low simmer for about 8 minutes. Turn off heat and take lid off pot. Let it cool for about ten minutes. 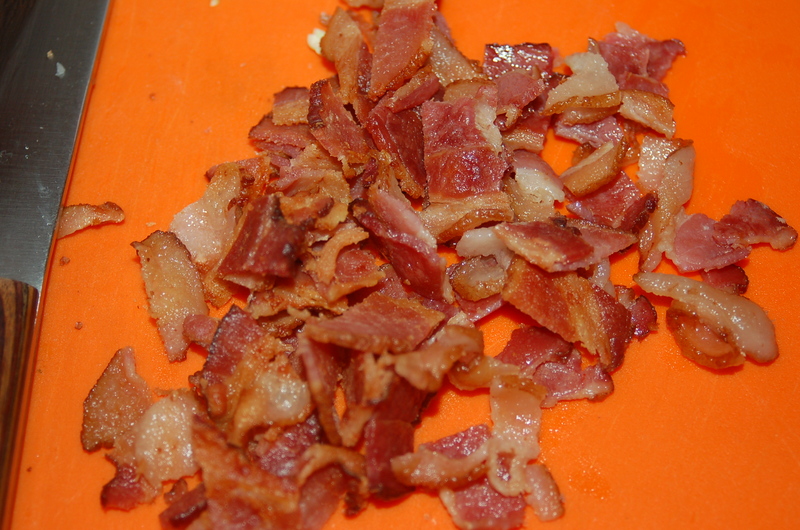 Blend in your food processor with most of the bacon (keep some bacon bits to use as a garnish). 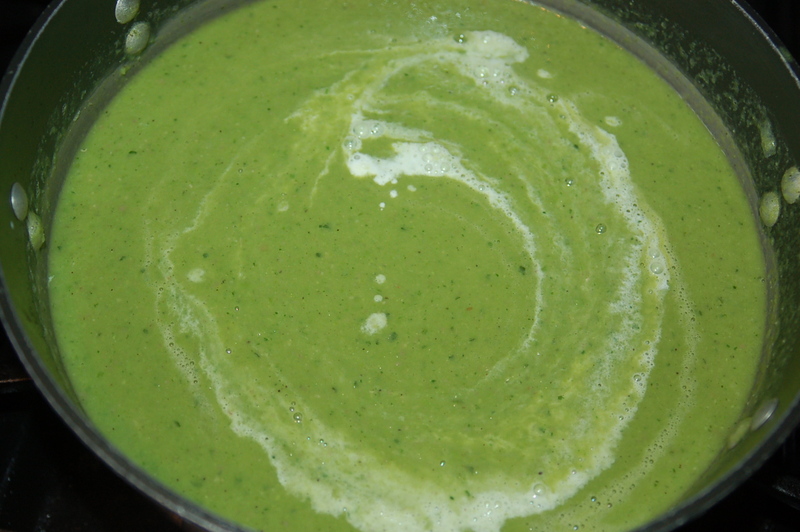 Return the blended soup to the pot and swirl in the cream (if using). Taste for further seasoning with salt and pepper. As soon as I threw this luscious pork into my basket, I was off to the “international” aisle to grab some panko crumbs before zooming home to make dinner. This dish was wonderful in every way. The crispy pork cooked in minutes (although it did take a little preparing before getting it to the hot pan), and the rice literally cooked itself (my rice-cooker is my sous chef!) and was perfect with the zucchini and squash. This dish would work equally well with beef, chicken or some other meat, so go ahead and give it a try. It is amazing! 1 – Make sure your pork is dry (you can dab it with a paper towel). Place it on a plate for easy access. Using plates or shallow bowls; put flour on one plate, panko crumbs on another (1 cup to start and add as you need it). Crack two eggs onto another plate or shallow bowl and add the soy, mirin and sriracha sauce if using. Whisk together with a fork. 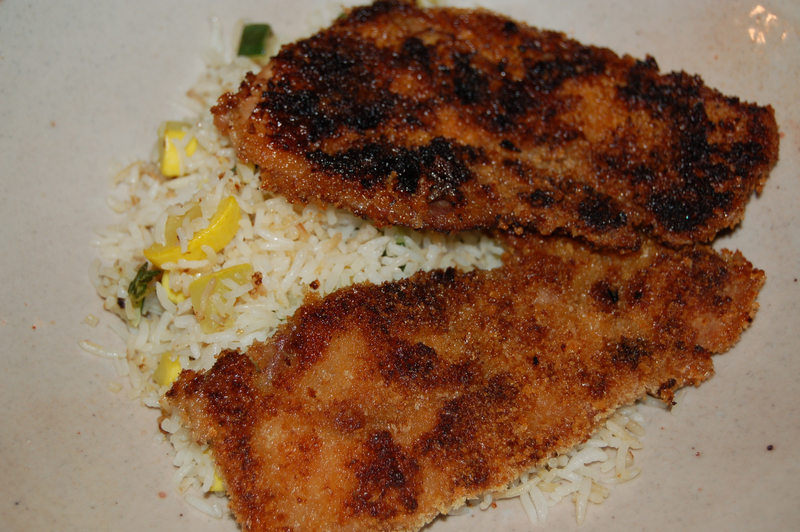 2 – Coat a piece of meat in flour, next dip each side into egg mixture and then press each side into panko crumbs. place on a plate and continue like that until all of the meat is prepared. 3 – Put heavy saute or cast iron pan on medium/high heat and add about 2 tbs of oil (more if your pan is large). when the oil is hot, add a few pieces of pork to the pan, in an even layer with plenty of space (if you crowd the pan, the meat will “steam” rather than cook fast!). Coo for about 3 minutes or less per side. Remove to a plate and keep warm. Continue until your meat is all done. 1 – Place large saute pan or shallow casserole dish (safe for stove top use) on medium heat and add about 3 tbs olive oil. 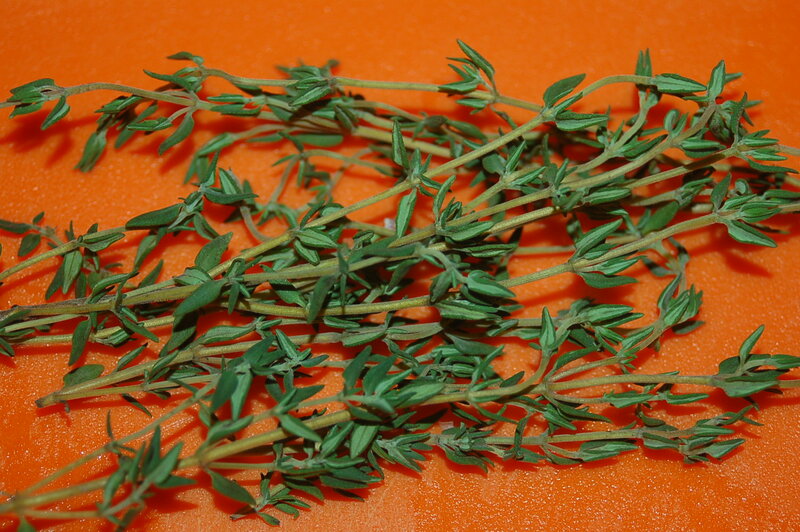 When it has warmed up, add the zucchini and thyme and cook until softened and has some “brown bits” on the skin and flesh. Stir regularly and turn up heat if there is no real sizzle. Add the rice and cover. Keep warm until ready to serve. 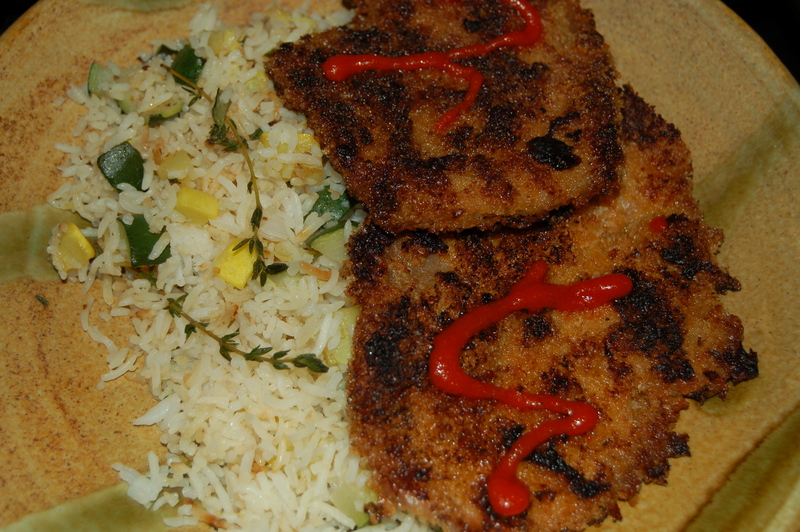 Arrange some panko pork on each plate with a serving of rice. Offer a little sriracha for the pork if you like. For anyone interested, I just published a handy Blood Type A Food List. Just click on “Blood Type A Food List” at top of my Blog! I have been trying to like ground turkey more these days! Everyone nowadays, (including me) is making the effort to substitute red meat with turkey or chicken; proteins which are leaner and lower in everything that is bad for your body for one reason or another (for me, it is not part of my Blood Type Diet but for others it might be part of their fight against cholesterol). It has been a struggle because there is no substitute for a good juicy lamb or beef burger! I have always been disappointed when I order a Turkey Burger when eating out. More often than not, it tastes like a bland white sponge! Yesterday while humming and hawing at the meat counter at the supermarket, I began to eye the ground organic turkey, and it was on sale. That was it; I decided to challenge myself and make a little turkey meatball and pack it with pungent and traditionally stong-tasting fresh herbs. I didn’t want to make plain old spaghetti and meatballs as I wanted the meatballs to be so good that masking their flavor in a thick red sauce would have been a crime. 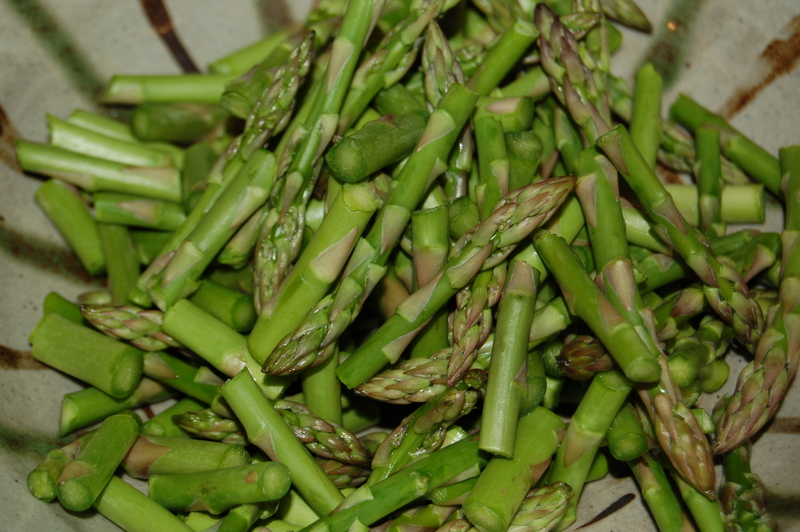 When I spotted the luminously green asparagus, my mind was made up to make something that looked like Spring. Yes; I WANT SPRING! This dish was the perfect introduction to Spring. It was light and delicate, and the colors were amazing. My little turkey meatballs were alive with flavor and I would have been content with just a big mound of them in a bowl for dinner. Anyway, this is a fantastic dish and I guarantee you, if you feel like I do about turkey and it’s lack-lusterness in the tasty department, I think this recipe will sway you too! 1 – Soak the bread in the milk. While the bread is soaking, put the rest of the ingredients in a big bowl, except the olive oil and flour. When the bread is soaked, add it to the mixture squeezing out the milk as you go. Mix everything together until it is well-combined. 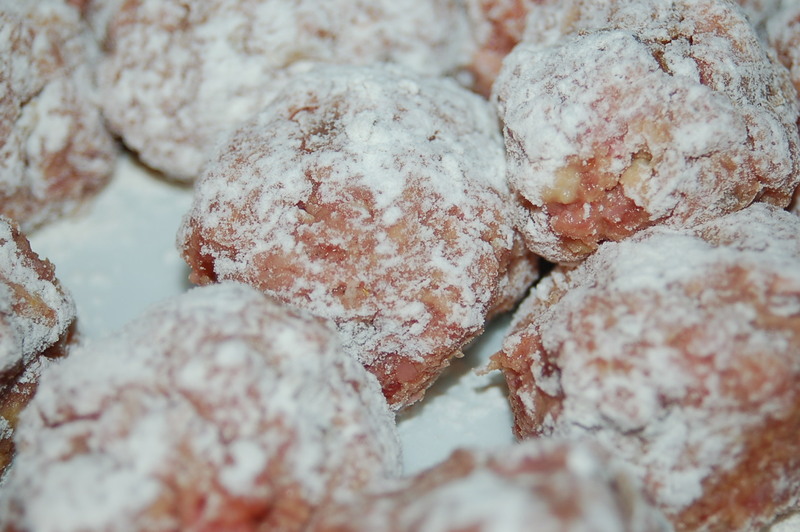 2 – Put about 1 cup of flour in a shallow bowl and put a little olive oil on the palms of your hands and start making little meatballs. Roll into a ball between your palms (the oil will keep your hands from getting tacky with meat) and then roll in the flour. Place on a plate as you go. Cook in oven….no spitting pan to deal with! 3 – Put a couple of tablespoons of olive oil on a large baking tray and grease the whole surface using your finger tips. Place in the hot oven for about 3 or 4 minutes (this will stop the meat balls from sticking to the bottom of the pan. 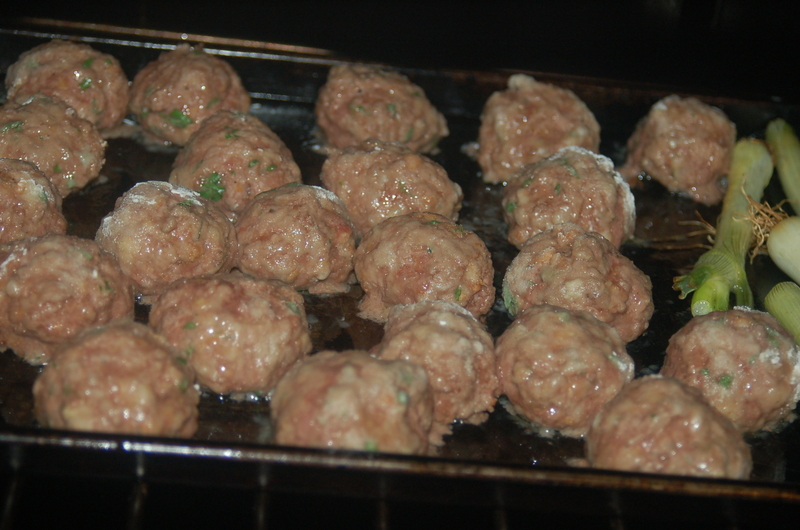 Remove the hot tray from oven and add a single layer of meatballs, remembering not to crowd the pan. Place in the oven for about 18 minutes, flipping halfway through cooking. Remove and set aside (covered) until ready to add to pasta dish. 1 – Put large saute pan on medium heat and add 2 tablespoons of olive oil (extra-virgin is good here). Add the onions and garlic and cook for about 4 or so minutes. Add the fresh herbs. Cook for another minute or two. 2 – Add the carrots and asparagus and continue to saute for about 5 minutes, stirring frequently. 3 – Turn up the heat and add the wine. Cook until the wine is reduced by half (about 3 minutes), and then add the broth. Bring to a boil. Add the butter and Turn pan down to a simmer. Cover with lid and cook for 4 minutes. 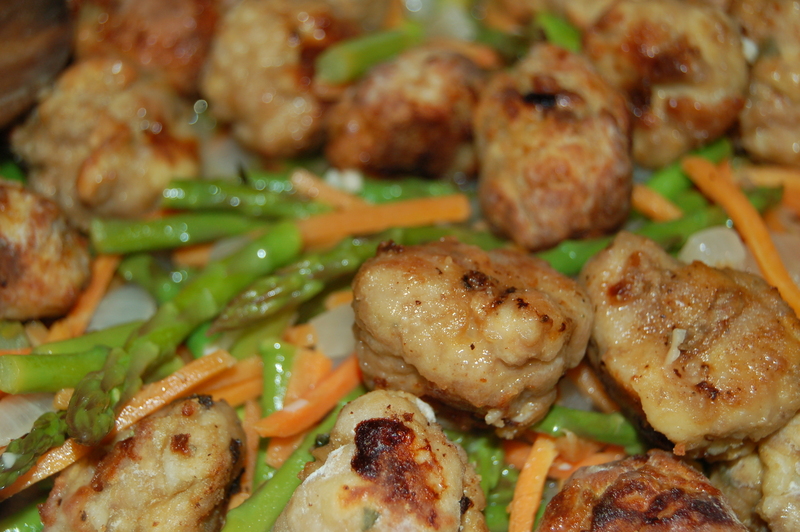 4 – Add the meatballs and continue to simmer for another 3 to 5 minutes. Taste and add salt and pepper to your taste. 5 – Add the cooked rigatoni (or whatever pasta you are using) to your pan and stir gently. Serve in warmed shallow bowls and if you have hot pepper flakes or a little Parmigiano Reggiano cheese available, then pass it around too!